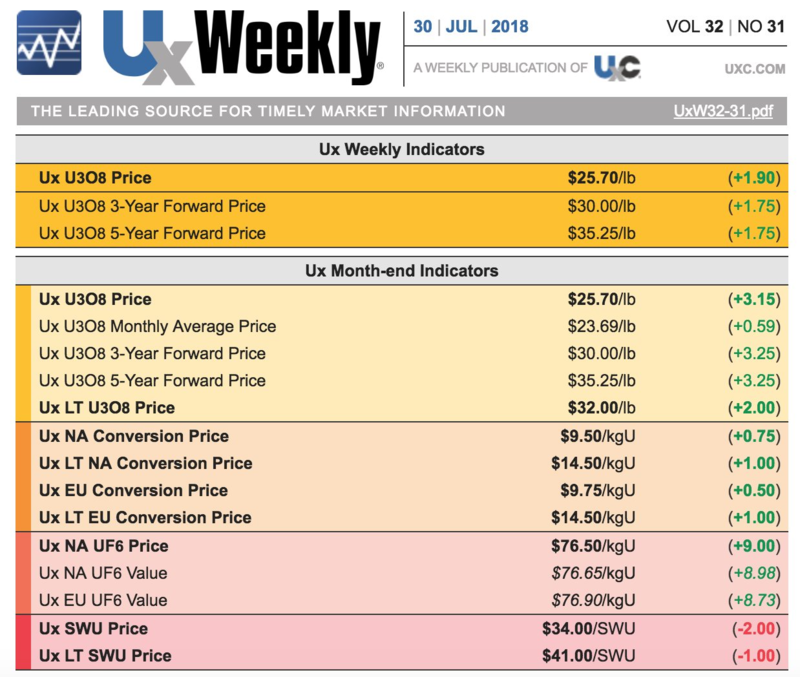 There's no cure for low prices like low prices, and if you're looking for low prices, uranium has suffered some of the lowest of any commodity in recent years. Uranium reached a low of US$18/lb at the end of 2016, a far cry from the US$130/lb it fetched in 2007. 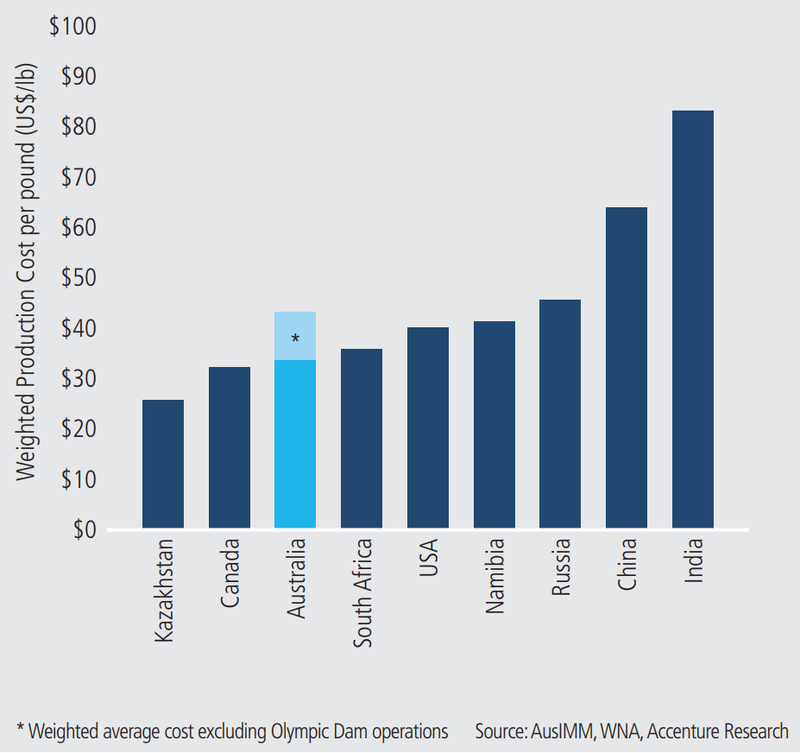 Given nearly all the world's mine-supply of Uranium is produced at cash costs of US$25/lb+, this was clearly not sustainable. The shutdown of Japan’s entire fleet of nuclear reactors had left the market with an excess supply. Meanwhile, low prices encouraged ‘secondary supply’, where enrichment plants would reprocess ores to extract additional nuclear fuel. This excess supply has kept prices low for longer than many expected, but the balance in the market has begun to change more recently. There has been increasing chatter among investors, including on Livewire, about the possibility of another bull market in uranium. In the past few months, we've heard from Michael Goldberg at Collins Street Value Fund, Nigel Littlewood at Harness Asset Management, and even resources legend Rick Rule from Sprott US Holdings about the opportunity. But what seems to be overlooked in more recent articles is the fact that, by traditional definitions, uranium is already in a bull market. “The International Energy Agency suggests that the global cost to produce yellow cake – not the AISC, but the real cost; adding back prior-year write-downs, and accounting for cost of capital – is about US$60/lb. So, we make the stuff for 60, and we sell it for 25.” – Rick Rule, President and CEO, Sprott US Holdings. A bull market? Isn’t that hyperbole? The generally accepted definition for a bull market is that prices have risen by more than 20%. Uranium bottomed at around US$18/lb roughly 18-months ago, and while there have been a handful of commentators suggesting a bull market is coming, few seem to have identified that (by this definition) it’s already begun. At the end of July 2018, the spot price of uranium was US$25.85/lb. This is more than 40% up from its lows, well and truly meeting our definition of a bull market. Late last year, the two largest (and lowest cost) producers globally, Kazatomprom and Cameco, announced huge production cuts. In November, Canadian major Cameco announced the temporary suspension of the world’s largest uranium mine at McArthur River, removing 10% of global supply (18m lbs). Less than a month later, Kazakhstan’s state-owned miner, Kazatomprom announced that it would slash production by 11,000 tonnes, or 7.5% of global supply. At the end of July 2018, Cameco announced that the shutdown of McArthur River would be indefinite and placed the project into care and maintenance. Despite the production cuts, Cameco is contractually bound to deliver 39-40m lbs of uranium to its clients in 2018, and 25-27m lbs in 2019. Following the cuts, Cameco now produces a mere 9m lbs p.a., so where’s the balance to come from? While 2018 saw them drawdown a significant amount of their inventory, Cameco is now purchasing uranium on the spot market to meet demand. In 2018 they’re planning to purchase 2-4m lbs, but from 2019 that number jumps to 9-11m lbs. In addition, a number of new funds have been launched recently with the intent of buying physical uranium on the spot market. The largest of these is Yellow Cake (LSE:YCA), which recently raised 150m Pounds Sterling with the intention of buying 8.1m lbs of uranium. Nigel Littlewood told Livewire that the situation for uranium is similar to thermal coal before the price spike. "There's no new investments in nuclear in the West. Countries like the US and France will allow their old reactors to run down and won't rebuild, but this is already priced in. On the other hand, nuclear power is still ascending in the East." He expects stable to increasing demand over the next 2-5 years, but for supply to remain tight. "It's a compelling risk/reward situation," says Littlewood. “If we look out five or six years, because despite the fact that people around the world hate it, people like when they flick the switch and the lights go on. Even rich markets like the US, which alleges that it can do without power it doesn’t like, uranium still provides 15% of base-load power. If the price of the commodity doesn’t go up enough to cover its cost of production, five or six years from now the lights go out.” – Rick Rule, President and CEO, Sprott US Holdings. One of the biggest factors in the bear market has been the glacial pace of Japan’s reactor restarts. It’s been nearly five years since investors first started making noise about reactor restarts, but August 2015, the first reactor was officially restarted. Since then another eight reactors have been restarted. While this is a far cry from the 54 reactors operating in 2011, momentum appears to be slowly building. The Japanese government approved its new Basic Energy Plan on 3 July 2018, which confirms that nuclear will remain a key part of their energy mix for decades to come. According to the plan, nuclear energy will make up 20-22% of the country’s power generation until 2030. Achieving this level of nuclear output would require the restart of around 30 reactors. Littlewood believes that Japan could be the "big question mark in the thesis", as there is still significant internal resistance to reactor restarts. However, a recent byelection showed support for the Abe Government, which is pro-nuclear. This suggests that Japanese voters are happy to vote for a pro-nuclear party. Uranium is primarily sold via long-term contracts between miners and utilities. The contract prices are generally set at a premium to the spot price. The long-term nature of the contracts, and the fact that many of these contracts were signed during the last bull market (’07-’10) means that many of these utilities are expected to re-enter the contract market in the coming years, creating a significant amount of uncovered demand. Littlewood said that understanding the contracting cycle is one of the more difficult parts of researching the investment case. There are no central data sources to gain an understanding of the timing of contract negotiations. Based on his research however, most long-term contracts should be up for renewal at some point in the next three years. For new mines to be built to meet future demand, they must make economic sense. This means that the price of uranium must not just be higher than production cost, but needs to compensate investors for risk, and the time-value of money. Even after the recent improvements in price, the current spot price and contract prices remain far below the incentive price. Among the major Australian miners, both BHP and Rio Tinto own uranium assets. However, they form a relatively small part of the big miners’ portfolios, being dwarfed by iron ore, coal, and copper. Disclosure: The author owns shares in some of the companies mentioned. Disclaimer: This article is not financial advice and should not be viewed as an endorsement to trade in any of the stocks mentioned, any derivatives, nor any physical commodities. Investors should seek financial advice from a licensed advisor before making investment decisions. Well done Pat, really enjoyed reading this. Thanks James, I really enjoyed researching and writing it too! Thanks for putting this together. A robust summary of the thesis. Thanks Patrick, excellent summary. Have you considered the implications for silex systems? Peter - this is a perfectly valid criticism, however I think what we're seeing here is similar to when the oil majors cut production at the bottom of the oil market. Cameco and the Kazakhs realise that the current situation is unsustainable and they're big enough that their actions impact the market. Mr T - it would certainly seem that way, there's little doubt that in-production and C&M assets present a lower risk exposure. But some people do want the risk exposure due to the potential upside that it offers. Simon - I don't follow Silex closely, so my views on how it affects the company would probably not be of any value. Thanks to all who've commented. Any views expressed here are my own opinion, and not financial advice. They do not represent the views of Livewire Markets.